Here are some of the exhibitions that IrvinGQ will be attending over the next few months. Come along and see us if you are there! IrvinGQ – Proud Winner of “Best Exhibitor Safe Europe 2019”!!! Come along and see Richard Morgan! Come along and see Mark Hennessy, Paul Bradick and Martyn Jones! Keep visiting this page to keep up to date with where IrvinGQ are in the world and don’t forget to follow us on our social media accounts for live updates! 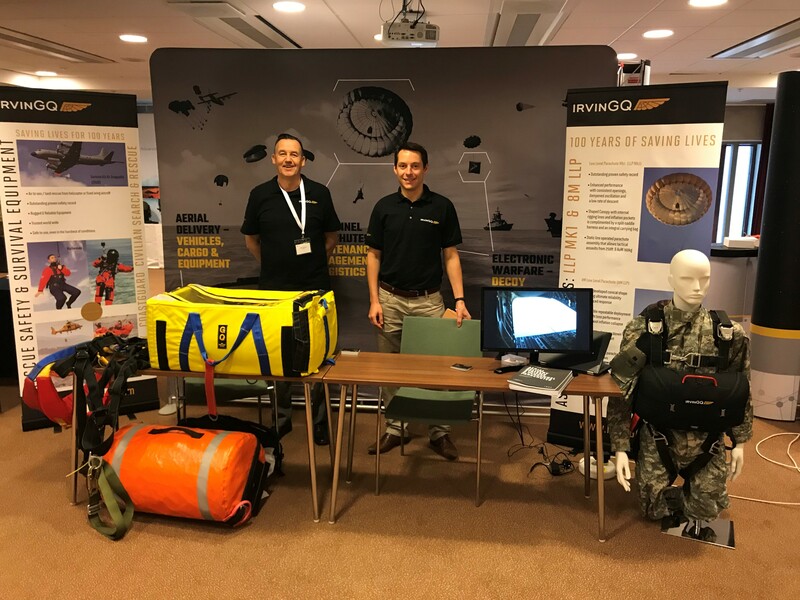 SNA Symposium 2019 - our new Naval Decoy stand on display! IrvinGQ the Winner of "Best Exhibitor Safe Europe 2019"